How to create a fun experience into the Serious Game? Create worlds or characters with sense of humour. For example, in Prevenir-la-grippe-A-H1N1, questions are asked about the flu in a world where cowboys fight against kinds of aliens with soap. Cowboys’ and aliens’ representations create a comical atmosphere based on an absurd situation. 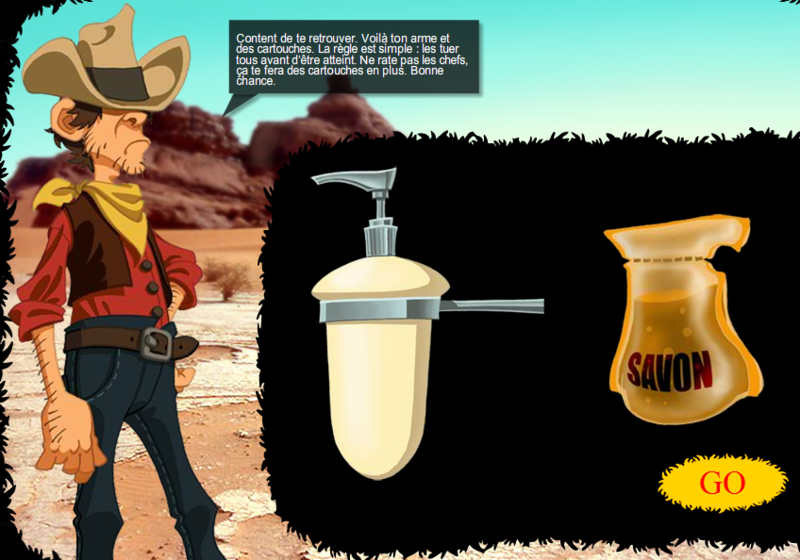 See the cowboy and his weapons (soap) in picture.